Xploree - Celebrating the strongest human bond! 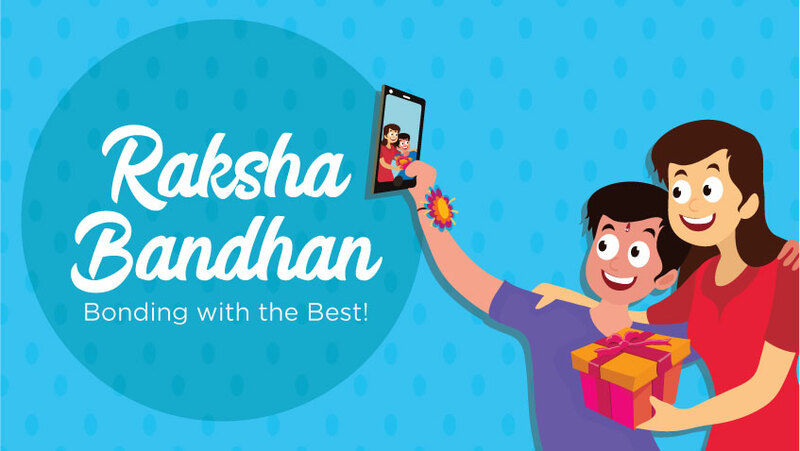 Raksha Bandhan: Bonding with the Best! Xploree prides for being the, ‘World’s 1st AI keyboard Application’, developed in India, specifically for the Indian masses. Xploree acts as a perfect companion for users by suggesting the most relevant content suggestions presented to users after understanding the intent through the typed text.Xploree’s natural language processing capabilities ensures that the keyboard successfully derives context from 12 different Indic languages, from the typed text to give you the most relevant suggestions through, ‘Presto’. Presto is an X icon visible on the left top corner of the keyboard that displays suggestions when you click on it. So, whether its dining, shopping, sports or trending news everything is available on your keyboard, just click on Presto! Our endeavor to provide users with a product, high on engagement and utility has ensured that Xploree gives the Indian populace the power to choose from a wide variety of 36 Indian languages. Xploree available for Andorid devices for the Indian audience equips users with the capability to use 13 macaronic languages, text using a mixture of languages, particularly bilingual (ex. Bengalis + English, Tamil + English, etc.) puns or situations in which the languages are otherwise used in the same context, besides capability to transliterate in 11 different Indic languages. Transliteration helps users to covert from one text script to another. Our emphasis to encourage Indian culture and tradition has seen us introduce, devotional themes and a unique feature called create themes that enables users to use images of their choice be it family, friends, locales or deities that can be used as background images on their keyboard. In our effort to encourage the rich traditions in our country we are doling out gifts for winning participants who take part in our Bond with the Best Contest. Bond with the Best is a celebration of a beautiful celebration that celebrates the selfless love and affection between a brother and sister. Famously known as Raksha Bandhan the festival is a promise on part of brothers to be there as protective shields for their sisters. The festival is symbolized by a decorative thread tied by the sister around their brother’s wrist. In turn the brother promises to protect his sister and gifts her something special as remembrance. To make this occasion extra special Xploree is running a contest that requires participants to click pictures when the sister is tying the rakhi, download Xploree, use the image to create a theme, share it on Xploree’s social handles with the hashtag #rakhi #rakshabandhan #bondwiththebest, a mention why your sister or brother is special and stand to win cool gifts from Xploree for your loving sister or self. Contest begins 26th August and is on till the 29th of August. What are you waiting for? Stop wondering what you want to gift your sister, instead take part in the contest and leave the gifting to us!